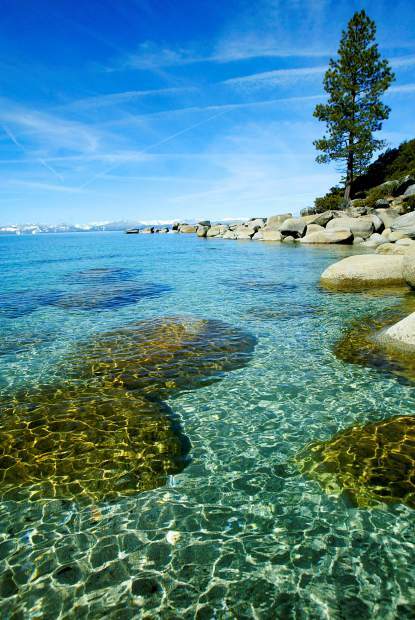 Lake Tahoe's water temperature has risen over the years. 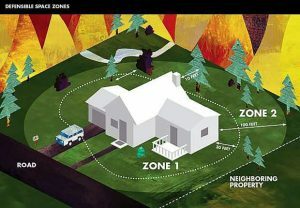 That news isn’t particularly shocking to those living in the Sierra who have witnessed first-hand the effects of a multi-year drought on tree mortality and snowfall. Even the lake is getting warmer, according to researchers at the University of California, Davis, Tahoe Environmental Research Center. As the Sun reported last August after a UC Davis TERC presentation, climate change is having a clear impact on Lake Tahoe. But since the region just had multiple feet of snow dumped on it in January, does that mean 2017 could be the year things go back to normal? It’s complicated, but the short answer is probably not, scientists say. Data from the National Oceanic and Atmospheric Administration and the National Aeronautics and Space Administration shows the average global temperature of the Earth was higher in 2016 than it has been since the data first started being recorded in 1880. In fact, according to NOAA, the average temperature across global land and ocean surfaces in 2016 was 1.69 degrees Fahrenheit (0.94 Celsius) above the 20th century average. And while data from one year means very little, the trend of increasing temperatures over recent years tells a very different tale. 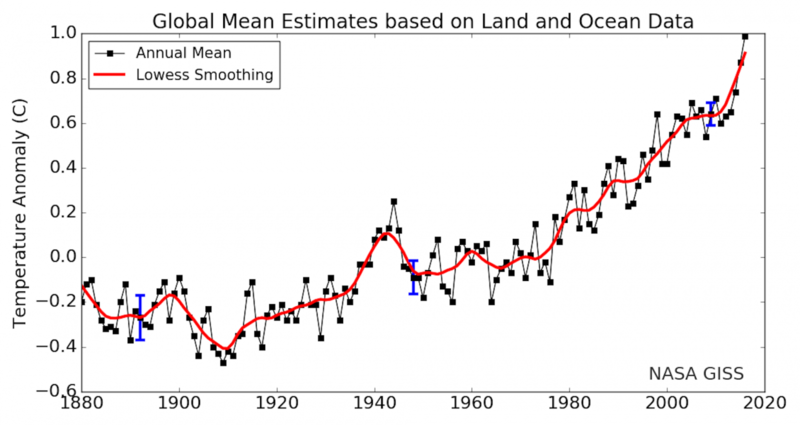 2014 and 2015 were also record-breaking years in terms of high global temperatures. 2009 was yet another hot year, but it doesn’t end there. According to data from NASA, the 10 warmest years on record all have occurred since 2000 — and the record goes back 136 years. 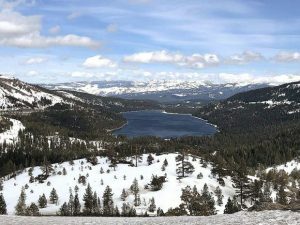 “With climate change in general, the principle is that you’re not drawing inferences on any given year — you’re drawing inferences on trends,” said UC Davis limnologist Dr. Steve Sadro, who studies lakes in the Sierra. Sadro said that while he is only beginning to focus on the Tahoe area, there’s more variation in weather patterns in the Sierra because of its elevation. What we do know, he said, is that we’re moving toward more extremes with regard to climate variability in the Sierra. Sadro’s focus is how climate change is affecting lakes like Tahoe. Lakes can be affected by a whole host of variables, including how much snowfall there is in a given year, ice coverage, exposure to solar radiation and whether or not the lake is fed by a groundwater source, just to name a few. He said that climate change is affecting temperature and precipitation, but just how those factors will change in the Sierra isn’t clear since there’s so much variability in mountain environments. Therefore, one month of heavy snowfall, or even one year, does not mean there will continue to be heavy snowfall. The 2016 State of the Lake report issued by TERC shows that since 1910, since local records were kept, the number of days with below-freezing air temperatures has declined. There have been years with many days of below-freezing temperatures, but the trend over time shows that the average number has declined by about 30 days since 1910. The report also shows average monthly temperatures have been increasingly warmer locally, which is consistent with the finding that global temperatures continue to rise. As for local snow, which is what most of us are here for, it’s important to remember we’ve seen strong winters in the past, and they aren’t not necessarily indicative of what’s to come. As for the trend, TERC’s State of the Lake report shows that despite a wide range of variation since 1910, the percent of precipitation that falls on the Tahoe-area is down. “Snow has declined as a fraction of total precipitation, from an average of 51 percent in 1910 to 33 percent,” according to the report. Dr. Steve Sadro will give a community presentation on climate change and lake temperature in the Sierra Nevada on Feb. 9 at the UC Davis TERC campus at 921 Country Club Dr., Incline Village, Nev. The presentation is from 5:30-7 p.m. There is a suggested donation of $5.